Today considered a rare site, octagonal houses in the United States have dotted the landscape since the 1600s, reaching their zenith of popularity in the mid 1800s. Washington, DC had five, one of which was built at 1830 Phelps Place on land that is today known as the Sheridan-Kalorama neighborhood. It was constructed in 1865 by two brothers, William and Edward Bebb, and it stood at that site until 1950. The brothers then worked at the Patent Office, but William had once served as the Governor of Ohio, from 1846 to 1849. He had been born on December 8, 1802, in the small town of Paddy's Run (later Shandon), Ohio. Their father, Edward Bebb, was a Welsh immigrant. 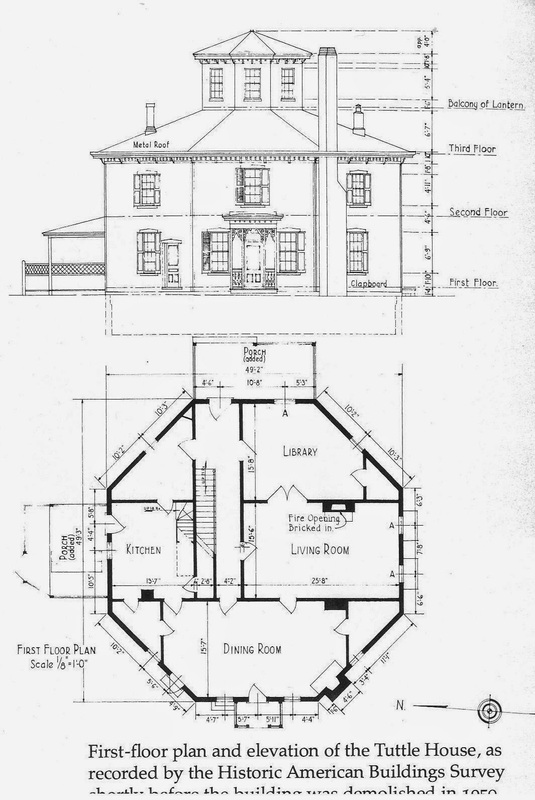 Many book published in the mid 1880s told the virtues and uniqueness of living in an eight sided house, but it was one in particular that perhaps best explained the many advantages of storage, closets, ventilation, and economy of construction: A Home For All by Orson S. Fowler. His book was printed with eight editions, and included plans, drawings, and suggestions for construction, and was responsible for more than 500 such buildings constructed along the eastern seaboard. Shortly after it was built, the Bebb brothers sold the house to Leroy R. Tuttle, who served as the Assistant Secretary of the Treasury from 1866 to 1876, during Reconstruction. 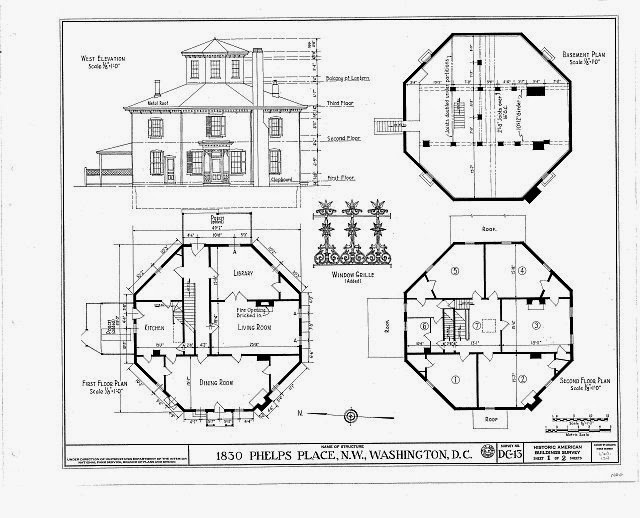 He later made a fortune in real estate speculation in the city, and had the noted New York architect Stanford White design a new house for him close by at the corner of Connecticut Avenue and Leroy Place (razed in 1955 for a hotel). 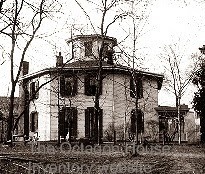 Tuttle continued to own the octagon house, however, and rented it to various families over the next several decades. Tuttle recounted one rather unusual story that took place during his tenure at the Treasury Department. At the onset of the nationwide financial panic of 1873, his college at the New York City branch of the Treasury Department telegrammed that $10 million dollars in cash was needed with no time to spare. Concerned about theft, Tuttle dressed down, packed the cash in large carpetbags, and made the nine hour train ride to New York overnight to avoid suspicion. 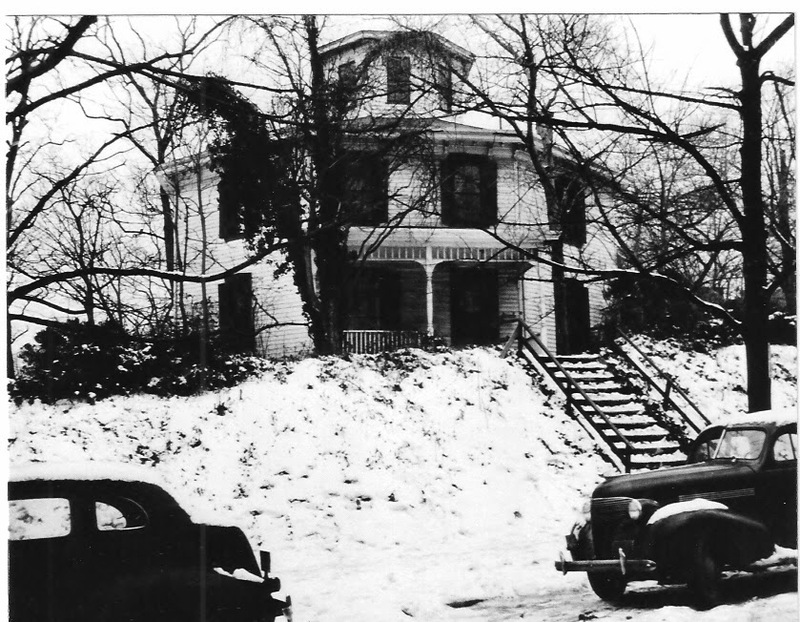 The octagon house was eventually sold by the Tuttle family to the Holton Arms School in 1948. It was razed two years later for an addition to the school that never materialized, and the lot remained vacant until a series of new townhouses were built there in 1976. 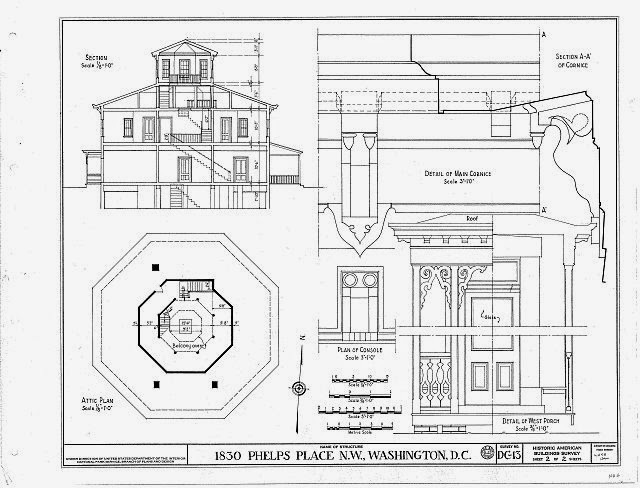 Before it was torn down, the Historic American Buildings Survey (HABS) carefully recorded the house with measured drawings of many of its details, elevations, and sectionals, all seen here and housed at the Prints and Photographs Division of the Library of Congress.